Over the last month or so we've heard quite a few rumors about a potential Pixel 3 Lite phone launch – a cheaper, less powerful version of Google's flagship phone – and now another image supposedly featuring the mid-ranger has appeared on the web. Posted to the Twitter feed of Russian blogger @jc_ru, the snap claims to show the new Pixel 3 Lite on the left and the existing Pixel 3 on the right. The upcoming mid-range phone reportedly has a slightly bigger 5.56-inch display, using a slightly taller 18.5:9 aspect ratio, and as with the Pixel 3 there's no sign of a notch. 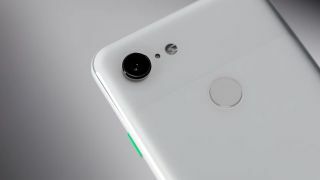 While the Pixel 3 Lite is said to use a slower processor than the other Pixel 3 phones – a Snapdragon 670 has been mooted – it's also being tipped to use the same 12.2MP rear-facing camera, so you should be able to get some fantastic shots from it. In fact some sample shots have already leaked, showing off the photo-taking capabilities of the Pixel 3 Lite. However, the phone won't get a dual-lens front-facing camera, reports suggest, which means no wide-angle group selfie shots on this model. All of the Pixel 3 Lite leaks so far have come from Russia, which matches a lot of the leaks we saw ahead of the Pixel 3 and the Pixel 3 XL launch. If Google wants to tighten up the rumors and leaks ahead of the appearance of the Pixel 4 hardware next year, then its Russian operations might be a good place to start. With nothing official from Google yet, we can't confirm that this is a real device – or if it is, where it will be on sale – but considering rumors of a mid-range Pixel phone have been swirling for a long time now, a launch in the near future could be on the cards.